Anamaya Resort overlooks 270 degrees of ocean coast line and is located in one of the world’s most charming beach towns, Montezuma. Anamaya means “good health” in Sanskrit and to us that means delicious healthy food, rejuvenation, yoga, nature, community, adventure, and a ton of fun & laughter. 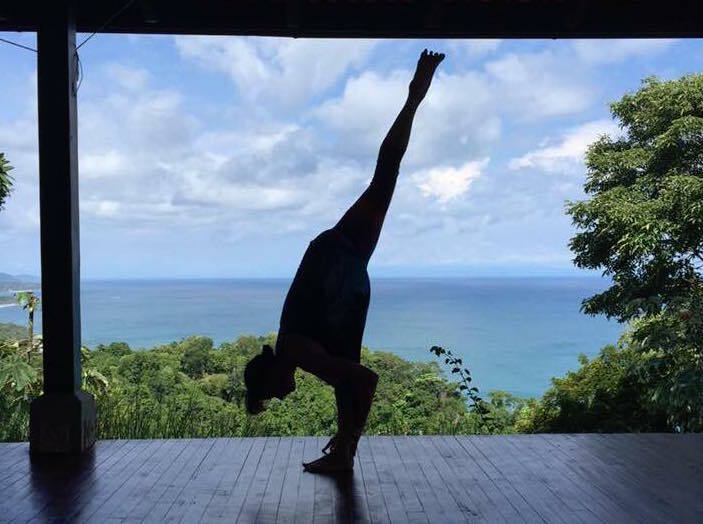 PACKAGES: We have a yoga retreat package for everyone so you can customize your experience, and the cost of the package you choose is added to your BASE RATE. 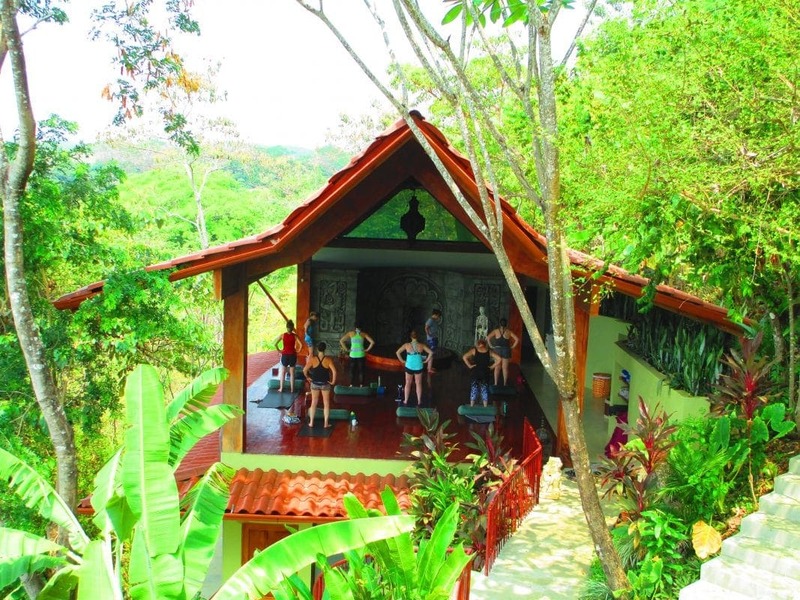 Our packages include Yoga & Adventure, Yoga & Rejuvenation, Yoga & Surfing, or Pure Yoga. For more information about these packages please visit Anamaya Retreat Packages (ARP). Or for those who are not totally into yoga, there’s no need to choose a yoga package at all – you can book all your activities and excursions A La Carte. We call it the Relaxation Retreat. We are also now offering a Scuba Certification and Yoga package to our guests who would like to learn how to Scuba Dive… And a Couples Retreat package for those who are traveling with that special someone. OPTIONAL WORKSHOP: We excited to offer our guests this week a very special workshop called The Koshas – Finding Bliss in Paradise that will be broken down into 3 sessions. Please see below for more information and price. Malissa Whited stepped on her mat over 2 decades ago. It wasn’t something she was really looking for, but Yoga found her in the most serendipitous way. In the midst of her chaotic life, Yoga was the moment of peace, surrender, and inner wisdom that she didn’t even know she needed. It has become a beautiful, guiding force in her life. Its teachings have transformed her through the years, leading her to see more love, compassion, light, and beauty in others, the world, and herself. She is grateful everyday for its ability to break her down and show her the abundant blessings that God provides in life. Its calling has inspired her to share it with others. Her practice is an eclectic fusion of therapeutic yoga, vinyasa yoga, and Tantra Yoga. Her classes are educational, created with a therapeutic focus and are breath centered. She shows multiple levels in her classes to allow her students to manifest an optimal experience in their minds, bodies, and hearts. Experience: Malissa Whited B.S., has been a Yoga instructor for over 17 years. She opened her studio, Mindful Movement, in June of 2010. She is an 200 E-RYT through Yoga alliance, a Wholistic Manual Medicine Therapist, and is always studying ways to find more depth, intimacy, connection, and love in life. She hosts trainings, workshops and retreats in the U.S. and Internationally. Her mission is to help people heal, grow, and thrive though the teachings of love and Yoga. The Koshas paradigm is a beautiful model to understand that we are more than just what we can see, feel, touch, and taste. We are multidimensional beings with thoughts, emotions, and a spirit. The layers or sheaths of the Kosha’s help us to understand these dimensions in a way that can help us overcome obstacles, and become truly happy in our life. Join Malissa for a conversation on the five Kosha’s and ways to release past traumas, forgive, and love again. This Workshop will be broken down into 3 sessions. All three sessions will include: philosophy, contemplation, asana, pranayama, meditation and mantra. Please bring a notebook. Price is $40 per session, or $99 for all three.